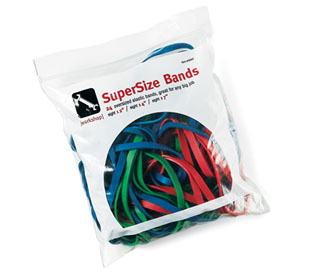 SuperSize Bands™ are good for every big job. Use to hold box carton flaps down for loading, bind rolled carpets, etc. Some Alliance Rubber items ship separately. Please allow up to 5 additional days for delivery.